What does cycling infrastructure do for a city? If you were out on Thursday evening, the impact was clear to see. 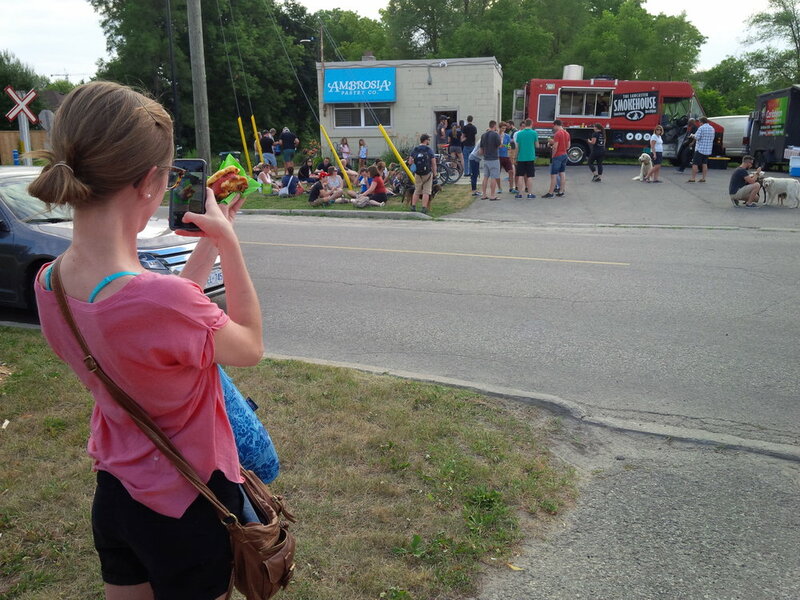 Ambrosia Pastry's weekly food truck bonanza was hopping -- and the bike rack was full. The trails were busy with runners, cyclists and walkers. The re-opened, separated cycling trail through Waterloo Park was an utter delight. And on King Street, the new bike lanes were a big improvement on what we had, but still utterly short of what we need. Oh, and one was blocked by a pile of boxes. 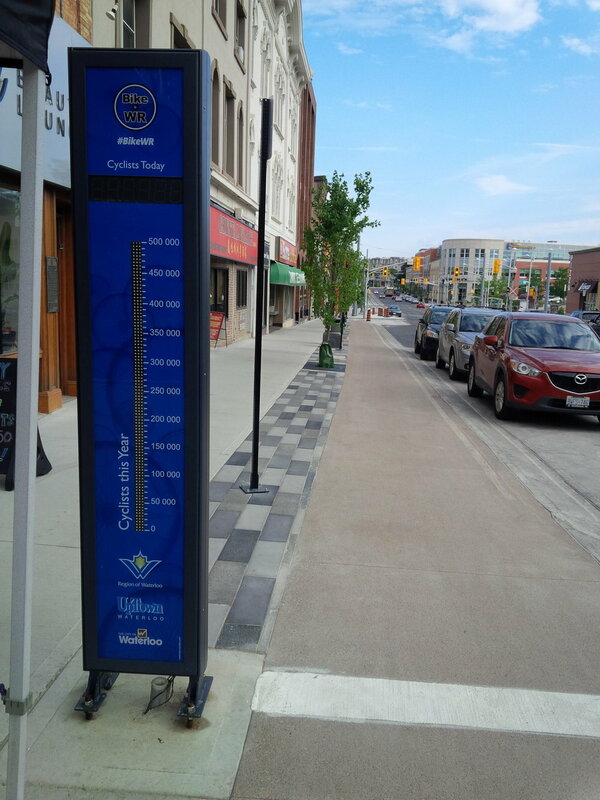 I experienced all this on my "Cycle with the Candidate" ride with CycleWR volunteer Jane Snyder. We met Uptown and pedalled off into the night. We visited the intersections that most concern us (including Caroline at Alexandra and the Spur Line at Union) and tried out the new infrastructure Uptown and in Waterloo Park. It was not just a lovely night out. This infrastructure is essential. Without a decent grid of lanes that actually connect, cyclists aren't safe. Cycling infrastructure also supports other things, like walking trails, safer streets, and reduced traffic congestion. I'll fight for it at City Hall, and I'll be a vocal advocate for it when dealing with the Region. Kathy Mortimer said there aren't enough places for kids to ride without an experienced guide. Carly Greco finds that a minimum grid is lacking, with many bike lanes on major roads vanishing at intersections (we're looking at you, University). The PowerShift folks lamented a general misunderstanding of the rules of the road. And Geoff Bell said he'd love to see better maintenance of the on-road bike lanes. I'd love to hear your main cycling issues. Tweet me @TenilleUptown or drop a note on the "Tenille Bonoguore for Uptown" Facebook page.